Take a look at the location, the shallow continental shelf and the swell shadow of Port Headland... Really? You really expect me to believe there is surf in Broome, at Cable Beach? And with all those nasties in the water! Forget it mate, i'll stick to fishing! 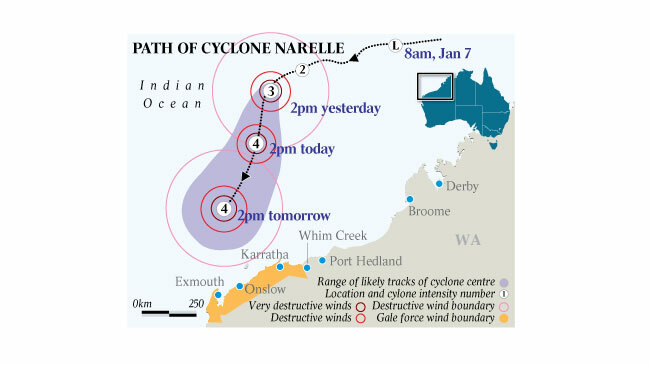 "Hey mate, theres a cyclone comin ya know!" Irukandji, box jelly fish, tiger sharks, saltwater crocs, dehydration, stone fish and shame! So hot you can barely paddle, tights filled with sweat before you get to the waters edge. Waves coming from every angle, duck diving a hundred times, terrified about what might brush past your face or hands, the unclothed areas. Duck-diving half arsed because of it and getting twice as belted because! Buuuuuut, there was a few goods ones amongst them! Definitely a turn or two to be had and the odd solid drop. Lots of handshakes, met new people... good fun, great vibe. All of a sudden, Broome is a surf town! Every 4WD has an old board in it, less boats, bikes and more boards! Work emails revolve around high tides and east wind predictions not low tide, Barramundi hunting missions. The surf froth is back. Whose texting who from the pre work check? Whose keen for a lunchtime sesh? Who is going to dodge that meeting for a surf cos the tide is right! Mmm, no. Not that relaxing or predictable but a bloody good experience. Will definitely keep my eye out for the next one!